Former Chief Security Officer, CSO to the late Head of State, Gen. Sani Abacha, Major Hamza Al-Mustapha, has reiterated his call for a public debate, where former President Olusegun Obasanjo would come to substantiate claims in his infamous 18-page letter that he (Al-Mustapha) was contracted to head a killer squad of 1, 000 snipers for President Goodluck Jonathan, ahead of the 2015 general elections, Vanguard reports. Al-Mustapha, who addressed some select journalists in Lagos, on Monday, on some number of issues relating to his 15 years travails in detention, also debunked insinuations that ex-President Jonathan interfered with court process to facilitate his release from prisons, to enable him (Al-Mustapha) help train the ‘killer squad’ or procure Jonathan’s success in the North during the last election. Al-Mustapha said ab initio, he had no case to answer but for the plots of his persecutors to see him eliminated because he stepped on their toes while he served as the CSO to the late Head of State, Sanni Abacha, adding that the Appellate Court acquitted him when it determined that he had no case to answer of all the charges leveled against him. Adding, he said, “On the allegation by former President Olusegun Obasanjo that I was contracted by the Jonathan administration to train 1,000 snipers, I have challenged him to an open debate to substantiate his allegations. 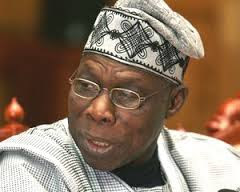 Obasanjo cannot go about creating an allegation that is totally false. If that assertion of Obasanjo was true, now that President Muhammadu Buhari was in power, now that the office of the National Security Adviser, NSA is being x-rayed, now that those who collected money from that office are being x-rayed by different committees, that allegation of Obasanjo would have come to fore. “Nobody contracted me to catch 1, 000 mosquitoes under the Jonathan administration, not to talk of human beings.